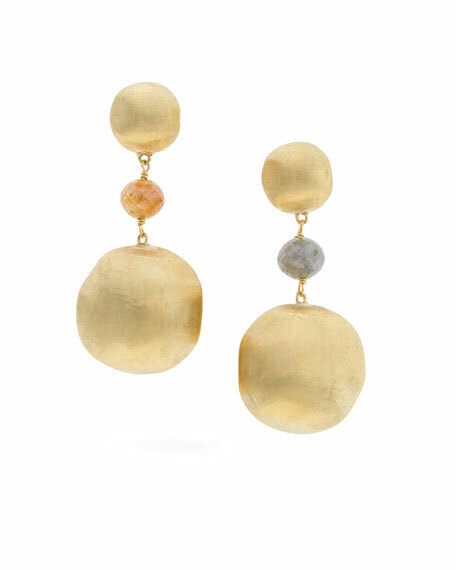 Marco Bicego drop earrings from the Unico Collection. Round gold posts and large round dangle. Multihued raw uncut diamond centers. 3.68 total diamond carat weight.